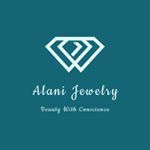 We are an online jewelry store committed to our mission statement "beauty with conscience." We donate a portion of all proceeds directly to the World Wildlife Fund in an effort to help conserve nature and reduce the most pressing threats to the diversity of life on Earth. We are currently looking for affiliates to help spread awareness of our brand. We would love to work with you! !